We are deeply grateful to all of our donors and partners for making our work possible. We are pleased to recognize our Circle of Support donors who have contributed $10,000 or more annually to Big Brothers Big Sisters of Canada. We sincerely appreciate the local contributions that our partners provide to our local agencies. If you have comments or questions about your recognition or contribution, please contact us. Big Brothers Big Sisters of Canada has been fortunate to have the incredible support of BMO Financial Group for over 20 years. Since 1996, our National Convention has been hosted at BMO Financial Group’s fabulous Institute for Learning in Toronto. In 2007, BMO Financial Group increased its level of support by providing training opportunities for the national staff of Big Brothers Big Sisters of Canada. BMO Financial Group’s Institute for Learning is an exceptional training facility that meets our needs each year, providing representatives of the Big Brothers Big Sisters network from across Canada with a place to gather, learn and share in a top-notch training and accommodation facility. In addition, BMO Financial Group has provided remarkable support for of our Go Girls! and Game On! group mentoring programs. More recently, BMO Financial Group announced a five-year commitment valued at $750,000 for a Pan-Canadian Mentoring Partnership to address gaps in mentoring for Canada’s vulnerable young people. Since 2013, the Boston Pizza Foundation Future Prospects partnership with Big Brothers Big Sisters of Canada demonstrates their continued commitment to our organization and the youth we serve. Through Boston Pizza Foundation Future Prospects, we are working together to ensure vulnerable children and youth have the guidance, experiences and confidence they need to achieve more. The Ontario Ministry of Education’s Student Success / Learning to 18 strategy has made a significant impact on school-based mentoring programs in Ontario since 2008. This partnership impacts thousands of children and youth by expanding access to services, resulting in improved educational outcomes and increased social and emotional well-being. The presence of a caring adult in a child’s life, within the existing school environment, is critical to student success. We are privileged to work with the Government of Ontario to create better outcomes for children and youth. Together, we are providing a strong foundation for school engagement and lifelong success. “The Circle” is a Big Brothers Big Sisters of Canada pilot project in partnership with three (3) Big Brothers Big Sisters member agencies: BBBS Grand Erie (Paris, ON),BBBS Saskatoon (SK) and Boys and Girls Clubs BBBS Edmonton (AB). This project is made possible by Federal funding from the Ministry of Public Safety Canada (PSC), under the National Crime Prevention Strategy (NCPS).This five year project delivery and impact evaluation, will see the pilot sites develop and deliver mentoring programs to at-risk vulnerable youth, with an added focus of Youth in Care and Aboriginal youth. The project focuses on youth, aged 10-18, who are at risk of developing delinquent trajectories due to a variety of challenging life circumstances. Over five years the project will reach 700 participants. RBC Foundation, the philanthropic arm of RBC Financial Group, has generously supported Big Brothers Big Sisters of Canada as well as many of our local agencies for several years. RBC Foundation provided critical founding support in the development of a new program for newcomer Canadian youth called “Conversation Club”. The program was originally created by Big Brothers Big Sisters of Peel and with support from the RBC Foundation, the program was developed and brought forward for the benefit of other agencies across Canada. Along with launching the new Conversation Club program, RBC Foundation has provided an incredible commitment to launch and sustain the national Post-Secondary Readiness Strategy. The national strategy will combine, refine and build upon success of Post-Secondary pilot programs currently being offered by our local agencies. The Post-Secondary Readiness Strategy supports post-secondary readiness and educational success for youth, providing them with the confidence to achieve more in their education. Since 2007 through its signature community investment program, WestJet Cares for Kids, WestJet has been positively impacting all parts of Big Brothers Big Sisters across Canada with the gift of flight, by supporting local fundraising efforts, alumni relations, volunteer recruitment, support for our Accreditation process, as well as important training for staff and the young people they serve. Since 2013, WestJet has provided support to Big Brothers Big Sisters of Canada’s YOUth in Office event in Ottawa. This event, in partnership with Boys and Girls Clubs of Canada, flies youth to Ottawa to engage in discussions with Members of Parliament, Senators, and other leaders of the country to discuss issues of importance from the home constituencies of the youth. WestJet has included the young people we serve in special initiatives over the years: providing flights to mentors, mentees, alumni, staff, and volunteers to build homes in the Dominican Republic in conjunction with Live Different, as well as bringing youth and WestJetters together for WestJet’s #MentoringMatters Day. WestJet continues to go above and beyond in their support of Big Brothers Big Sisters. Cadillac Fairview has been a long-standing supporter of Big Brothers Big Sisters. In 2007 Cadillac Fairview committed to in-kind office space at the Eaton Centre. This space currently houses our Toronto-based staff and allows Big Brothers Big Sisters of Toronto agency casework staff to meet with parents, volunteers, and children in a convenient location in downtown Toronto. CIBC has supported Big Brothers Big Sisters and young people across Canada by funding various initiatives that enhance the lives of youth and the delivery of our mentoring services. The CIBC Youthvision™ Scholarship program committed more than $1 million to make post-secondary education dreams a reality for youth-in need, ultimately helping to break the cycle of poverty in their family. 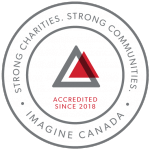 CIBC’s flagship education program, CIBC Youthvision™, has been recognized by Imagine Canada as being an outstanding partnership between the business and voluntary sectors. Stepping up as an innovative and forward-thinking partner, CIBC is funding a newly developed Rural and Remote Community Service project, which seeks to understand how to best serve rural and remote communities across Canada and offer mentoring service recommendations for those communities in need. The Keg Spirit Foundation has been an incredible supporter over the years providing over $1,400,000 to Big Brothers Big Sisters. They have worked with us closely as a true partner, often taking risks as we develop new ways of doing business, of expanding our reach, and ultimately serving more young people. The Keg Spirit Foundation made an unprecedented investment in the future operations of our entire organization, providing seed funding for the development of a unified system aimed at bringing all current case work, alumni relations, and donor relations onto one national platform. We are thrilled with the progress we have already achieved and the response we have been hearing from local agencies as they implement our new database system to improve our efficiency and enhance our ability to serve youth. Launched in 2017, the Ted Rogers Scholarship fund is dedicated to ensuring the success of future generations of Canadians by helping the brightest young leaders across the country succeed in their educational aspirations. Big Brothers Big Sisters of Canada was selected as a scholarship fund partner in the program’s inaugural year. By focusing on the importance of youth development and educational programs, Rogers is helping to break down barriers that Canadian youth face in order to help our next generation of leaders shine.